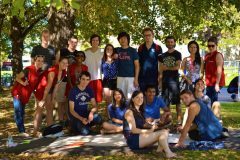 Welcome to life in Residence at Carleton University! Between the readings and assignments and the occasional laundry run, there is always something going on in Residence. Whether you are an upper year student interested in becoming a mentor or a first year student just getting a feel for university life, there is an opportunity for everyone to get involved. Join our Residence Facebook Page and follow us on Twitter and Instagram!